Front any processing fees on behalf of your borrower. 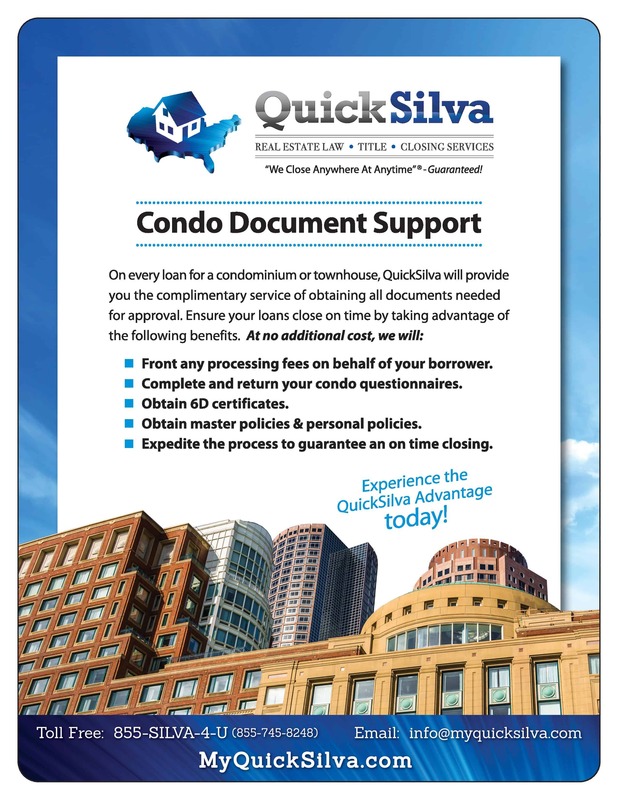 Complete and return your condo questionnaires. Obtain master policies & personal policies. Expedite the process to guarantee an on time closing.